Can Closed Collection Accounts Hurt My Credit? A closed collections account is different from any other closed account, at least where your credit report is concerned. Having a closed collections account on your report, rather than a closed account in good standing, may be a red flag to most lenders, who assume that you are irresponsible with credit. However, it’s far better to have a closed and paid collections account on your report rather than a closed and unpaid one. Even when a collections account is closed, it can remain on your credit report for up to seven years from the date the account first went delinquent. There is another time limit involved with open collections accounts, which is called the statute of limitations. This statute, which varies by state, equals the number of years during which a collections agency may attempt to collect your debt in court. If you’re wondering whether you should bother to pay off and close a very old collections account, paying it will start a new statute of limitations. However, paying it off will still be better in the long run and appear as a positive factor to future lenders. Although common sense would say it does, a collections account doesn’t disappear from your credit report after you’ve paid it off. As long as it is still within the seven-year period from when the account first went to collections, the account will remain on your report. However, this doesn’t mean there’s no benefit to paying off your collections account. Potential lenders can see in your report whether you owe money on a collections account, and they are more likely to extend you a new line of credit if you’ve showed responsibility by paying off an old collections account. Another odd factor regarding closed accounts is that can hurt your credit score by closing too many accounts at once. If you’ve already closed your collections accounts, it may be wise to hold back from closing other accounts, too — even if you don’t use them. Instead, if you have many credit card accounts that you’d like to close, close them one at a time over several months’ time. Also, close newer accounts first because a longer history of credit use will keep your score in top shape. 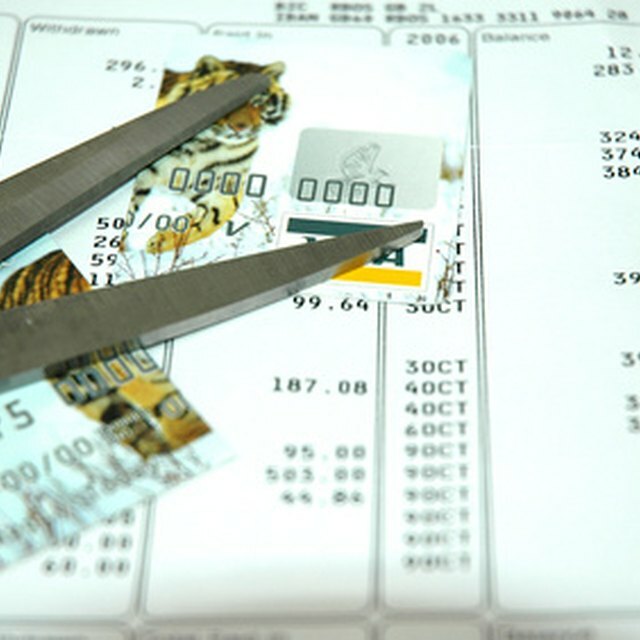 Does Closing One Card & Opening Another Hurt Your Credit? If a Credit Card Account Is Closed by the Lender Can It Ever Go Into a Positive Status? Once an account has gone to a collections agency, it will inevitably appear as a negative item on your report, open or closed. However, you can work to improve your credit through other means. About 30 percent of your credit score depends on your credit to debt ratio (the more available credit you have, the better). Because of this, you could actually damage your credit by closing other accounts, such as unused credit cards with high credit limits. In this instance, a collections account will have no bearing on your score. Because there is no available credit in a collections account, keeping it open won’t help your credit to debt ratio — but closing it won’t hurt your ratio, either. In fact, paying it off and closing it may actually improve your ratio.